MSRP is a competitive program in which DMU students and undergraduates work with University faculty mentors on research projects in anatomy/paleontology, biomedical science, education, movement science and public health. 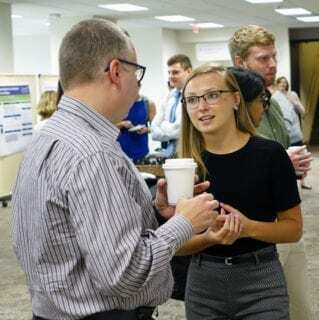 The program also includes research presentations by DMU faculty and the closing program with oral and poster presentations by MSRP participants. This year, 16 DMU students and 17 undergraduates from six colleges and universities participated in the program, submitting 32 abstracts for the final event. They investigated topics ranging from treatment of acute respiratory distress syndrome, renal control of blood pressure and estrogen’s ability to mitigate hypertension to the clinical implications and food insecurities resulting from the rising cost of insulin. 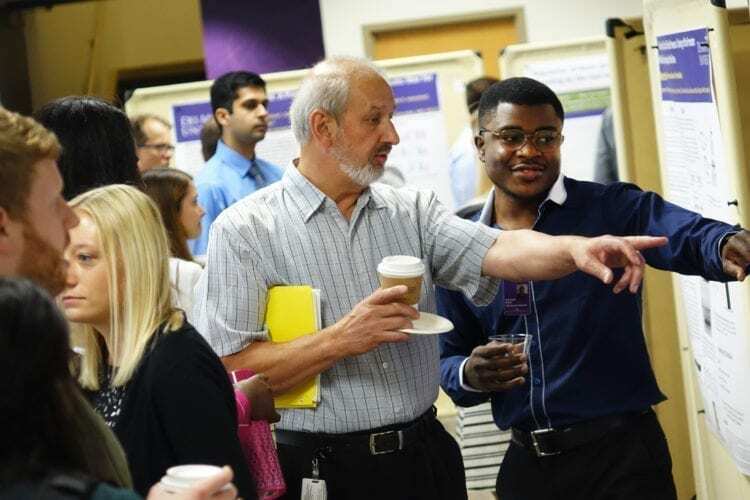 More than 30 DMU faculty served as mentors who guided the students’ research. MSRP is offered by the University’s Office of Research and Research and Grants Committee. In addition, DMU’s Continuing Medical Education Department offered continuing education credits to participating health care professionals. In her keynote to MSRP participants, Dr. Akins reflected on the “eclectic variety of roles and responsibilities” she’s had in her career. She joined DMU on May 1 after serving as associate dean of faculty affairs and professor in the medical education and clinical sciences department at the Elson S. Floyd College of Medicine at Washington State University in Spokane, WA. She also has held a number of leadership positions at California Northstate University College of Medicine, State University of New York College of Medicine, Texas A&M University Health Science Center and United Healthcare Services Wilson Medical Center. At those institutions, some of the areas she was involved in were curriculum change, interprofessional education innovation, implementation of rural health care delivery mechanisms and expansion of a two-year clinical campus to an accredited four-year medical school.